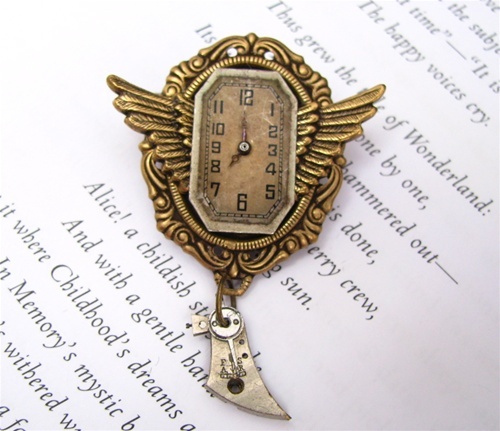 Check out some of these wonderful steampunk pendants! Steampunk fashion is hot, and it’s about to get hotter. With the release of Tim Burton’s new Alice in Wonderland movie, things are getting curiouser and curiouser. Rivkasmom.com is the crossroads where Steampunk and Alice meet, and the results are anything but expected. 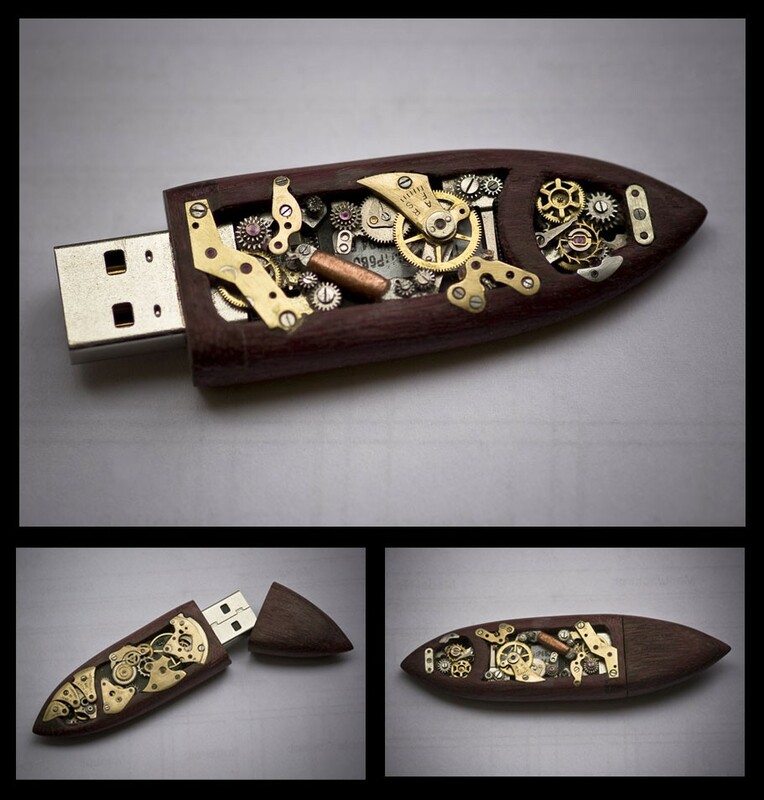 DIY Handmade Steampunk USB Flash Drive! 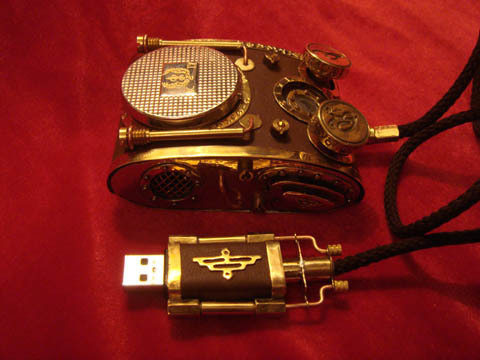 This beautiful steampunk USB flash drive is actually for sale on Etsy, it’s sold out currently but should be available soon again. 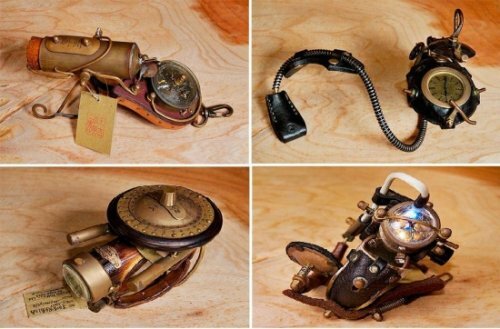 Here’s an incredible Japanese master of DIY Steampunk Watches. If you happen to love steampunk, prepare to be amazed by this outstanding collection of steampunk watches created by master watchmaker Haruo Suekichi. What started as a weekend business hawking watches at the fleamarket has developed into an full time business. DIY - How to Make Steampunk Gold and Silver Waterproof Flashlight! 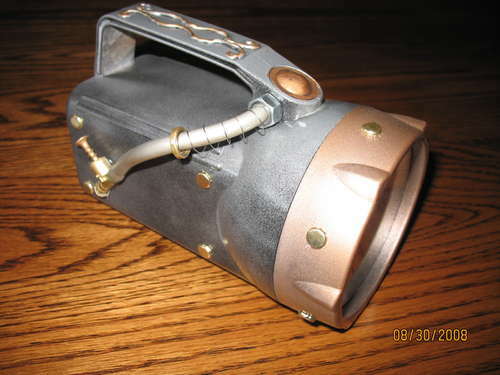 Here’s a really cool DIY on how to make your own Steampunk Gold and Silver Waterproof flashlight. Of course, this will complement your pool very well in the dark. DIY Steampunk Tennis Rackets look more like Ping Pong Rackets! These DIY Steampunk Tennis Rackets do look more like ping pong rackets, don’t they? 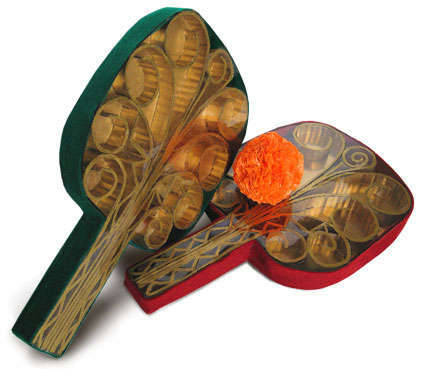 Regardless, you can learn how to make one here. Aww God! 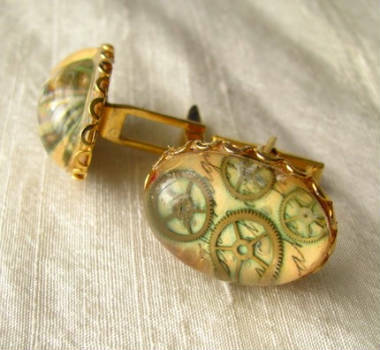 It’s steampunk cufflinks I will never wear! “Oh so pretty,” you say about the Russian Steampunk Mouse. Why is it Russian anyways? Here’s a really cool steel watch ring you can wear. 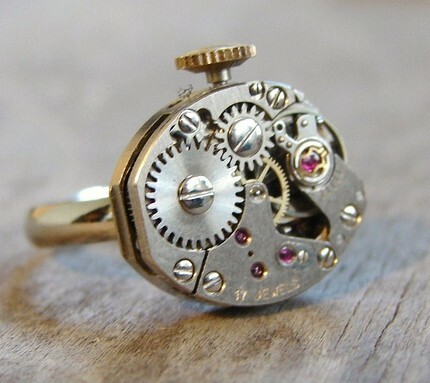 I am not sure if the watch itself is just for looks or it works but it’s a really cool watch ring indeed. It has an antique steel watch part showing the detailed inner parts of the watch and all of those red stones are natural RUBIES with an oval shape. It is approx. 3/4 inch across.